Seven World Championships; Six Olympic appearances; Five Olympic medals; Four Olympic Gold medals – Hayley Wickenheiser is a titan of sport and a leader both on and off the ice. Considered one of the best female players in the game, her hockey IQ is highly respected in all areas of both the male and female game. She was the first female player in the world to notch a point in a men’s professional game while playing in Finland, and played in or coached at four NHL development camps with the Philadelphia Flyers, the Edmonton Oilers and the Toronto Maple Leafs, the first woman in history to have done so. She is also still holds the record for the most assists, points and goals for the Canadian Women’s National team. Hayley retired in 2017, but her ascent to the top of the sport started in Shaunavon, Saskatchewan when at age 15 she was the youngest member chosen from the Canadian Women’s National team. Her Olympic career spanned 23 years, five Olympic medals and two sports, as she also competed in softball in Sydney 2000. In 2014 she was Canada’s official flag bearer and she now serves on the IOC Athletes Commission and is the Vice Chair of the Calgary 2026 Bid Committee. She has many accolades including being named one of Sports Illustrated Top 25 Toughest Athletes in the World; has been twice named to the “Power 50 in Sports”; was among the QMI Agency’s “Top 10 Greatest Female Athletes in the History of Sports”; is a member of the Saskatchewan Sports Hall of Fame; Canada’s Top 40 under 40 and Canada’s Walk of Fame; and in 2014 she was awarded Canada’s highest honour when she was appointed to the Order of Canada for her achievements as an athlete and for her contributions to the growth of the women’s game. Ms. Wickenheiser’s passion for sport is equally matched by her desire to give back to the community through her work with dozens of philanthropic organizations including Lace ‘Em Up, Jumpstart, KidSport and Project North and Right to Play – all organizations dedicated to ensuring kids of all financial and cultural backgrounds can play sports. 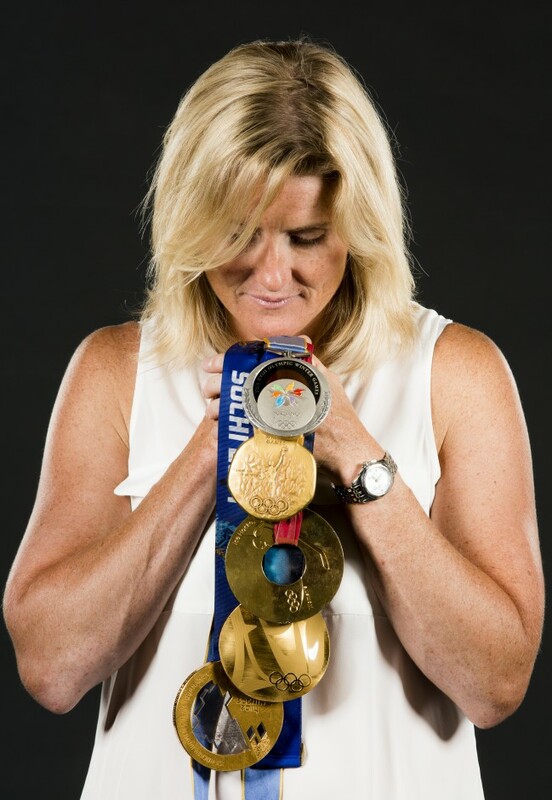 Her most profound project is the founding of the world-renown personal and athletic development weekend, The Canadian Tire Wickenheiser World Female Hockey Festival which provides mentoring and growth opportunities for young athletes from around the world. Hayley holds several honourary degrees from institutions across Canada, as well as her degree in Masters in Kiniesology from the University of Calgary. She is a mom to her grown son, Noah who is 18 years old and pursuing a career in the military. She is currently studying Medicine at the University of Calgary where she spends as much time as possible outdoors enjoying the beautiful mountains and trails and training.